DAQRI, a company mostly known for its odd but fun-looking industrial Smart Helmet, unveiled their new Smart Glasses product at CES 2017. Their smartglasses look like a strange attempt to answer the Microsoft HoloLens, and the price tag of $4,995 for the developer's edition reinforces that notion. These sturdy but great-looking smartglasses run the Intel RealSense Camera LR200 and are designed with comfort in mind, weighing in at 400 grams with even distribution. They have a separate body pack to attach to a belt, but that is too big for pockets. The pack, which powers the glasses, is running a very high-performance Intel Skylake m7 processor. In a recent press release, DAQRI talked about the target market for this device, which appears to be a far more focused device than most of its competition out there. 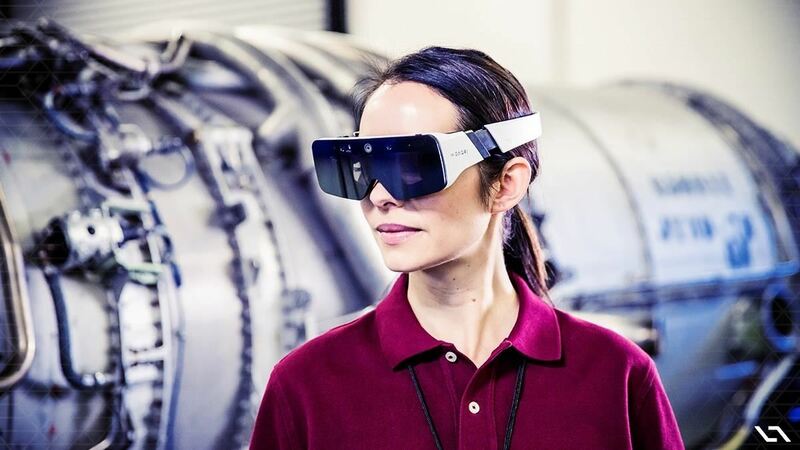 We know that innovative minds all over the world will find unique and amazing ways to utilize DAQRI Smart Glasses, but we've envisioned it thriving in several fields, including: Medical, Aviation and Aerospace, Architecture and AEC, and Lean Manufacturing. DAQRI has already begun taking reservations for this device, with ships dates expected in June 2017. You can preorder yours now, if interested, from their website (a $495 deposit is needed). According to a report by CNET, the device will run Linux or Windows, and far more importantly, it will work with Unity for developers. But the smartglasses will not be compatible with the Windows Holographic system. That could be enough to keep me away, price point aside. While it currently has issues (of course it does—it is a brand new system), Windows Holographic is the first real stab at a mixed reality operating system. While I can always port through Unity, I want to have features that would likely only work through an operating system that is built for mixed reality. What do you think about the DAQRI Smart Glasses? How do you feel about new hardware coming out being Windows Holographic compatible? Let us know in the comments. Not having the Windows Holographic is a major downer.